YAMAHA has just introduced its all new WR 450F - an enduro race bike based on the YZ450F race bike.It comes in two flavours - enduro and rally. 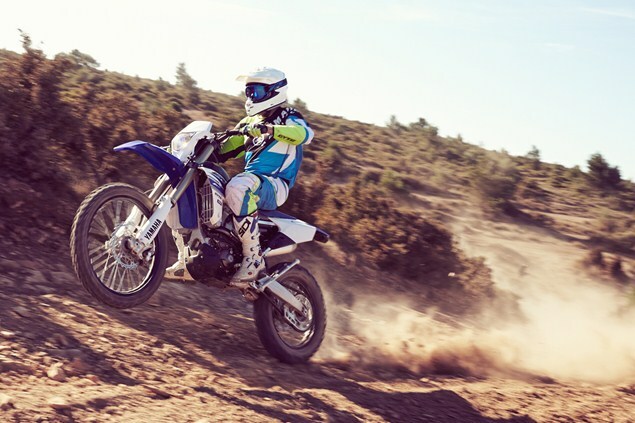 The engine's power and torque can be adjusted to suit riders and riding styles - so it's suitable for rallies, races and blasting around on off-road no matter what the rider's experience. The reverse-cylinder 450cc, four-stroke, fuel injected engine is fully adjustable. Yamaha says its light, agile and slim, which is a result of its mass centralised design. 'Last year Yamaha made clear its intention to move back to the top table of the enduro world with the launch of the eagerly-awaited WR250F. Featuring a completely new engine and chassis, the WR250F achieved an impressive streak of top 5 results - including multiple podium finishes in the 2015 Enduro World Championship - underlining its competitiveness at the very highest level. 'For the 2016 season Yamaha further reinforces its comprehensive off road line up with the arrival of the all-new WR450F, a sophisticated enduro racer that benefits from some of the most advanced engine and chassis technology to be seen in its category. 'Based on the 2015 MXGP World Championship winning YZ450F - and developed alongside the latest 2016 YZ450F production model - the all-new WR450F utilises Yamaha's innovative reverse cylinder head and rearwards slanting cylinder. Having convincingly demonstrated its winning performance at the highest level, this industry-leading engine design gives the WR450F rider high levels of controllable and linear torque, while this design's greater mass centralisation contributes towards the bike's agile handling character. 'By adopting the latest YZ-F derived engine layout together with the compact and light-handling YZ-F based chassis, the all-new WR450F delivers major improvements in terms of weight, power characteristics, agility and rideability.